Models have been advertising another Arctic Front to arrive late Tuesday night into Wednesday. This front will be strengthened by strong upper-level energy and a surface low could form right offshore. 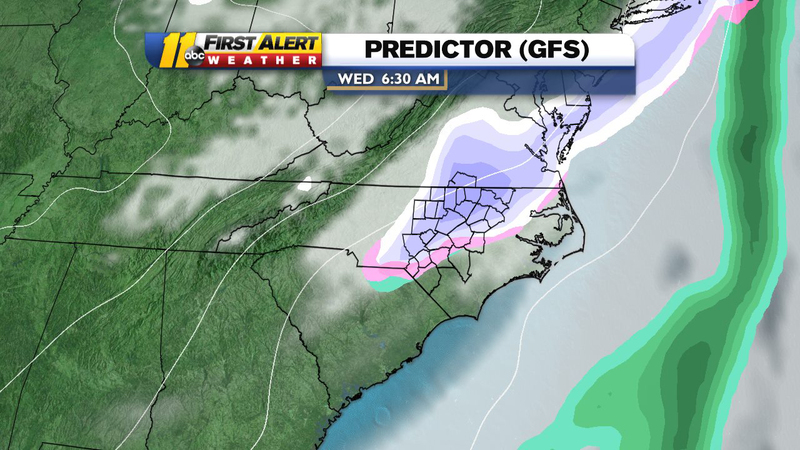 The onset of the precipitation could be rain or a wintry mix, then turn to snow Wednesday. Way too early to talk specifics with this one, but 4 out of 4 global models I look at are all saying at least some wintry precipitation for mid-week. We'll keep you updated!